In the fall of 2016, after twenty-eight years of pastoral ministry in the Chicago area, Arthur and his wife, Shirley, relocated to Kansas City, Kansas, where Arthur was born and raised. 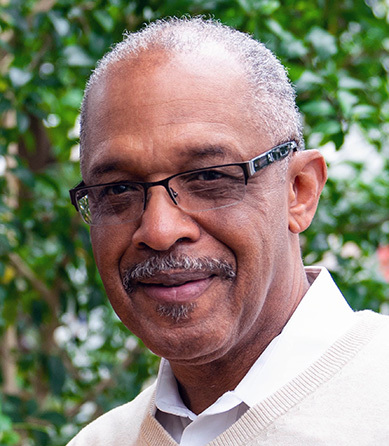 In addition to being a contributor to Our Daily Bread, Arthur serves as the Midwest region urban director for PastorServe (a ministry that cares for pastors) and as a director for Neopolis Network (a global church-planting ministry based in Chicago). The language and flow of this psalm suggest that the writer, David, had experienced something that provoked serious reflection. Have you experienced a disappointment, defeat, or failure that prompted thoughtful, reflective prayer? What do you do when you are humbled by life’s circumstances? When you fail a test or lose a job or experience the end of a relationship? David poured out his heart to the Lord and in the process did a bit of honest soul-searching and inventory (Psalm 131:1). In making peace with his circumstances, he found contentment like that of a young child who was satisfied with simply being with its mother (v. 2). Some years ago a traveling companion noticed I was straining to see objects at a distance. What he did next was simple but life changing. He took off his glasses and said, “Try these.” When I put his glasses on, surprisingly my blurred vision cleared up. Eventually I went to an optometrist who prescribed glasses to correct my vision problem. Today’s reading in Luke 18 features a man with no vision at all; and living in total darkness had forced him to beg for a living. Word about Jesus, the popular teacher and miracle worker, had reached the blind beggar’s ears; so when Jesus’s travel route took Him by where the blind man was sitting, hope was ignited in his heart. “Jesus, Son of David, have mercy on me!” (v. 38) he called. Though without sight physically, the man possessed spiritual insight into Jesus’s true identity and faith in Him to meet his need. Compelled by this faith, “He shouted all the more, ‘Son of David, have mercy on me!’” (v. 39). The result? His blindness was banished, and he went from begging for his living to blessing God because he could see (v. 43). In moments or seasons of darkness, where do you turn? Upon what or to whom do you call? Eyeglass prescriptions help improve vision, but it’s the merciful touch of Jesus, God’s Son, that brings people from spiritual darkness to light. If there ever was a faithful person, it was Brother Justice. He was committed to his marriage, dedicated to his job as a postal worker, and stationed each Sunday at his post as a leader in our local church. I visited my childhood church recently, and perched on the upright piano was the same bell that Brother Justice rang to notify us that the time for Bible study was about to end. The bell has endured the test of time. And although Brother Justice has been with the Lord for years, his legacy of faithfulness also endures. What do you do when the winds of temptation are swirling all around you? When you are weary and worn and want to quit? The text invites us to, as The Message renders it, “Take a good hard look at Jesus” (3:1). Look at Him again—and again and again. As we re-examine Jesus, we find the trustworthy Son of God who gives us courage to live in His family. Psalm 121 begins with a personal confession of faith in the Lord who brought all things into existence, and He was the source of the psalmist’s help (vv. 1–2). Just what did this mean? Stability (v. 3), around-the-clock care (3-4), constant presence and protection (vv. 5–6), and preservation from all kinds of evil for time and eternity (vv. 7–8). Do you feel alone, forsaken, abandoned, confused? Ponder the lyrics of Psalm 121. Allow these words to fill your soul with faith and courage. You’re not alone; so don’t try to do life on your own. Rather, rejoice in the earthly and eternal care of God as demonstrated in the life, death, resurrection and ascension of the Lord Jesus Christ. And, whatever the next steps, take them with His help.